Former Maine Black Bears Men’s Basketball star Mark Socoby, will sit out this season and then transfer. The Red Sox had an awful night against the White Sox, but Nick Green kept them in it with a 90 mile an hour fastball and 2 innings of scoreless ball. The Sea Dogs are now 3.5 games by New Britain for the final playoff spot after beating the Mets 8-7. Daniel Nava and Lars Anderson(finally) had big nights. Chris Gasper has the preview for tonight's Patriots/Redskins game up. Mike Reiss is leaving the Boston Globe and Boston.com to join the new ESPNBoston. The Red Claws will finally start getting some players, starting September 2nd with the expansion draft. 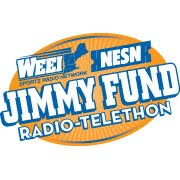 It's day 2 of the Red Sox/WEEI/Jimmy Fund radio telethon. The CMSB made their donation yesterday, please consider giving what you can, especially this year. You can give at their website or by calling (877) 738-1234.